While the Dallas Mavericks were sleeping (or more accurately freaking out about DeAndre Jordan not signing with them), Jeremy Lin found a new home for himself, the Charlotte Hornets, something very few people saw coming. Why? Because there were no reports of contact between the two sides, although that just means the negotiations went on smoothly without any leaks. And because it seemed very clear that the Mavericks were going to sign him. But when one bad things happen, it’s usually followed by another. DeAndre Jordan had already agreed to a deal with the Mavericks but backed out. While Mark Cuban was trying to get his home address from family members, Lin chose an interesting, something of head-scratching option. The Mavericks didn’t have the cap space to sign Lin after adding Jordan and Wesley Matthews. They tried moving Raymond Felton and doing some sort of sign-and-trade with the Los Angeles Lakers, but it didn’t work. The Lin thing could have waited, they thought. Turns out they’re still without a point guard and a center now, even though they do have the cap space. Lin joins a team in which he won’t be the starting point guard. Kemba Walker, who played 34.2 minutes a night last season, is the clear, outright starter. Lin is going to back him up, and due to the arrival of Nicolas Batum, which sits on the spot of Michael Kidd-Gilchrist, it might mean we’re going to see some interesting lineups that include both Lin and Walker together. Lin signed a two-year, $4.3 million deal. He could have gone for more on a different team, but I guess the sales pitch he got from the Hornets regarding the role and playing time intended for him, talking to coach Clifford about it, convinced him to sign with the Hornets. Maybe it was as a reaction to the Mavericks not looking all that good all of a sudden. Or maybe the Dallas link was never that hot. 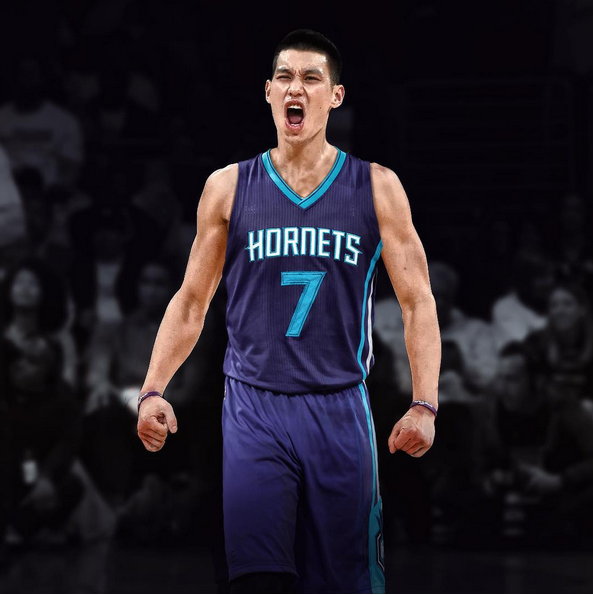 Either way, Lin brings something interesting to the Hornets. He will be by far the best passer on the team, and although his field goal percentage last season (42.4%) was the lowest since his rookie season, no other Hornets guard shot over 40% from the field last season. Lin isn’t exactly Kyle Korver with his shooting and isn’t exactly in love with playing the spot up role, but he hit 36.9% from beyond the arc, and is becoming a very dangerous player to leave open. The Hornets are a good defensive team, with or without Lin. His arrival is in order to pick up the pace offensively, and more than that, get players open. The Hornets struggle in creating chances for others, because Walker can mostly take care of himself, and spacing the floor. Lin does thrive in pick and roll situations, but he knows how to find open guys through tough and narrow spots. He won’t be starting over Walker, but he’ll be able to give the Hornets something Walker can’t. The Hornets aren’t afraid of moving players around and with Lin on an incredible bargain of a contract, don’t be surprised to see him last less than two seasons in Charlotte, unless he does extremely well. Financially, the Hornets struck gold with an immensely popular player for almost minimum wage. Adding Lin also means they’re planning on a very different basketball approach next season. If they follow through on that, both Lin and the team are going to immensely enjoy the collaboration.